Today's a swatch post. Look away now if that's not what you came for. 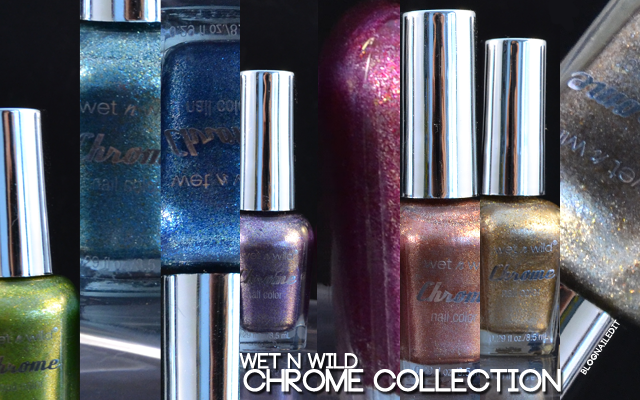 I'm showing you the Wet n' Wild Chrome collection. I grabbed these 8 polishes at Walgreens for $3.99 a piece. I admit, that's a little pricey for only being 8.5 mL instead of your normal 15 mL, but the colors rock. There are 8 colors in the collection and I have to admit something to you guys right now. I did a very true-to-blog thing with these. I bought them solely so I could review them for you. I barely looked at the colors, just saw that there was one of each and grabbed each and every one of them! There I said it! I DID IT FOR YOU GUYS! I LOVE YOU GUYS! First up is Steel the Spotlight. It's the silver in the collection. 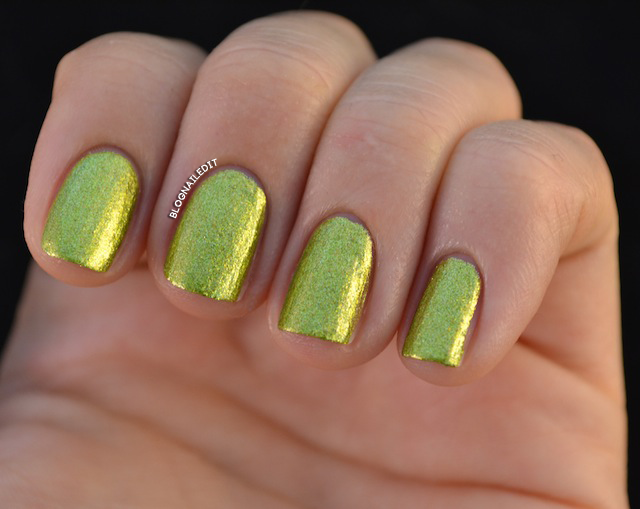 This one had the lightest application, which makes sense, so I had to use two coats for this swatch. Next is A Show at the Palladium, the gold. I had to look up what exactly the Palladium was, and I'm still not sure I know to which one they're referring to. My guess is it's not referring to the Palladium Lounge, one of the public rooms on the cruise ship Carnival Destiny. Penny for Your Thoughts is the copper. How appropriate that it be named that! 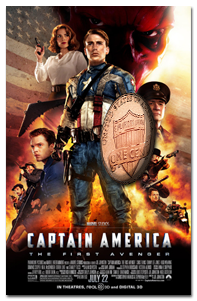 On a side note, why does the new United States penny remind me a lot of Captain America? I can't be the only one thinking it can I? Ok now here's Precious Petals. 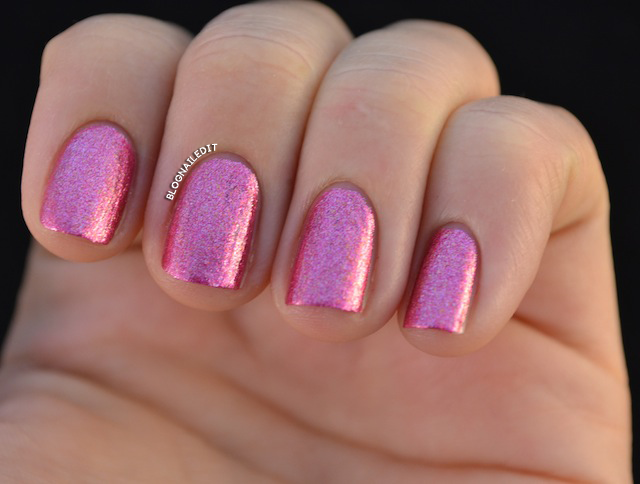 A nice, deep rosy pink. You're going to love the name for this purple-silver chrome: Hog-Quartz School. Ha ha! Can you imagine going to a school like Hogwarts...but instead of just magic, there's nail polish too? Oh good lord that would be epic. 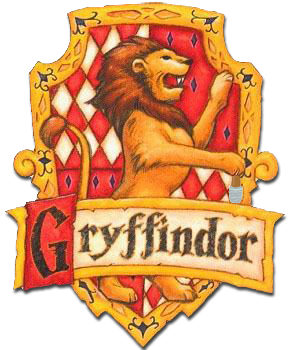 Would this polish be called Gryffindorable? Anyone from Baltimore read my blog? If so, you'll like this name: Grew Up in Cobalt-imore. Stay Outta My Bismuth is another one I like. Now try one thing for me. Read that out loud and try not to sound like you have a lisp. OK, I just tried it. It's actually not hard at all. I Got a New Com-pewter is a chrome I've never had, or thought I wanted. A lime green chrome requires a special pair of cojones to wear. I guess I have cojones. My favorite part about these after swatching them is their names. I Got a New Com-pewter and Hog-Quartz School win in that category. They also covered really well, most needing at most two coats. So there's that. I hope you don't mind the occasional swatching, especially if it's an entire collection. I just really wanted to share these since it's probably a limited edition grab you may kick yourself for missing out on later. Like I said...I love you and I want you to be the first to get them! 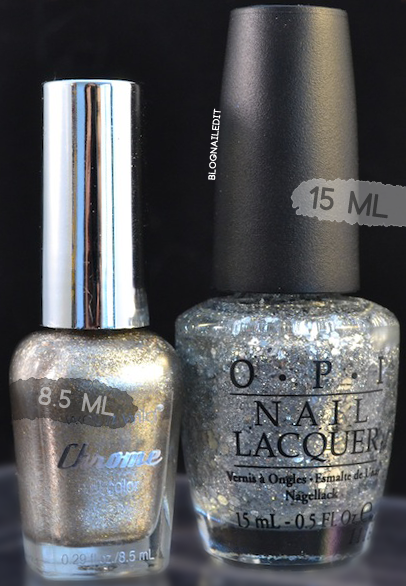 Fantastic coverage on these, and the colours are so cheerful--especially for metallics! These look even better on the nail than they do in the bottle, so thanks for all the swatch work! Those are great, thanks a bunch! At the risk of sounding like one of those "know-it-all blog commenter that everyone hates... Palladium in a transition metal, #46 on the periodic table. But it's silvery white, not gold. Yeah that was hit number 1 in my measly Google search to figure out more about the Palladium. It didn't seem to fit the polish's name or the color though, you're right. Lucky for you then! I picked this one up at Walgreens. I got mine at Fred's! :D 3.99 BOGO half off. pretty!!! but no wet and wild here. too bad.. Your swatches look great!! They didn't really excite me in the bottle. Oh I am so mad at myself right now...I walked right by those the other day and told Hubs I didn't need them >.< Now I want over half of them! i love these! i had to run out and buy "penny... & hog-quartz...". 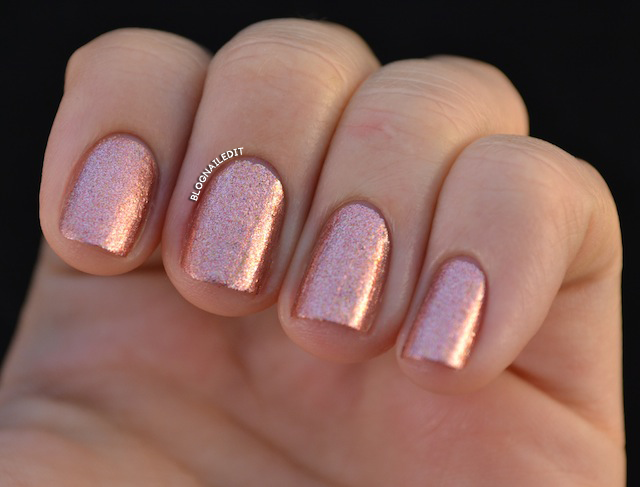 i just did my mani in the hog-quartz and love it. the solution is meh, but i love the look. thank you so much for sharing! love your blog! I really like these! They look amazing!